New York, NY — A business owner in Manhattan is suing the city after being forced to waive his fourth amendment rights and potentially forfeit his business because an NYPD officer sold illegal goods at his store. You read that right.According to a lawsuit filed this month by the Institute for Justice, a libertarian legal advocacy group, an undercover NYPD detective attempted to sell stolen electronics to customers at Sung Cho’s laundromat in Inwood, which located near the northern tip of Manhattan, in 2013. After the officer successfully sold stolen goods to two people — one inside the store and one outside — the city threatened Cho with eviction “merely because a ‘stolen property’ offense had happened at his business,” the legal organization’s website explained. Under the city’s decades-old “nuisance eviction ordinance,” residents and business owners can be evicted simply because an illegal act occurred on or near their property. Though the law was passed in the 1970s to target businesses that encourage illegal activity, like many laws, it has been abused. A joint investigation by ProPublica and the New York Daily News reported that in Cho’s case, “the police claimed in court filings that [his] business was facilitating an illegal fencing operation” because the undercover detective sold illegal goods there in 2013. None of Cho’s employees were ever accused of or charged with a crime. Nevertheless, in cases like Cho’s, the city often offers to drop the charges — but only if the defendant agrees to relinquish their constitutional rights. Some “are forced to sign agreements waiving their Fourth Amendment rights,” IJ explains. This was the case of Jameelah El-Shabazz, also represented in IJ’s suit, who was forced to ban her son from her home. She was required to do so after he was falsely accused of possessing 45 cups of cocaine during a police search of a bedroom at her residence in 2011. Laboratory tests proved her son did not have cocaine or any other narcotic; she says the powder the NYPD found was crushed eggshells he uses for spiritual rituals. Though no charges were ever pressed, “four months later, she was served with the nuisance case and an order forcing her from her apartment while the case was being decided,” ProPublica and the New York Daily News reported. She says that when she signed the agreement, she had no idea it meant she had to permanently ban her son from her home. “I’m not going to make my son homeless because of the false accusations,” she said. The ProPublica/Daily News investigation reports that of over 1,100 cases in which these notices were issued during 2013 and the first half of 2014, fewer than half of the individuals targeted had actually committed a crime. They reported the cases occurred “almost exclusively” in black and Latino communities. IJ’s suit follows another similar lawsuit concerning a woman who was evicted from her home for four days after police claimed drugs were illegally sold there. As it turned out, those engaging in illegal activity had moved out eight months prior. Though Mayor Bill de Blasio responded to the lawsuit, saying he believes everyone is entitled to a fair trial, city attorney Nicholas Ciapetta claimed in a recent motion that the woman “was not entitled to any additional process.” The city’s law department said it has not yet seen IJ’s new case filing. Though the NYPD has amended its use of the ordinance to restrict full closures on homes while nuisance cases are still being decided, they continue to endorse the law. “This is one of many important tools we use as part of precision policing to continue to drive down crime and protect the public,” Police Commissioner James P. O’Neill said. Robert Johnson, the lead attorney on the case representing Cho, El-Shabazz, and one other individual, strongly objected to the practice. “The mere fact that someone’s been arrested is just not a reason why they should be kicked out of an apartment,” he said. 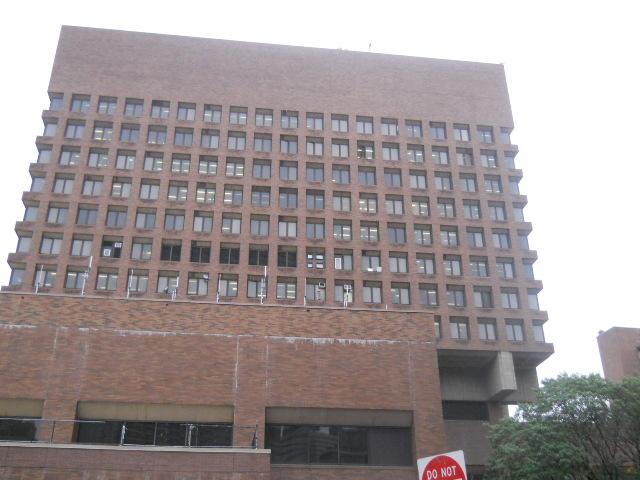 The case was filed in the United States Court for the Southern District of New York. This entry was posted in Civil Rights, Corruption, Economics, Government, Human Rights, Racism, Social Justice and tagged Atrocities, Civil Rights, Corruption, Equality, Fourth Amendment, Human rights, NYPD, police accountability, Racism, social justice on October 31, 2016 by ew.